My friend Moni posted on Twitter some rad apparel news. 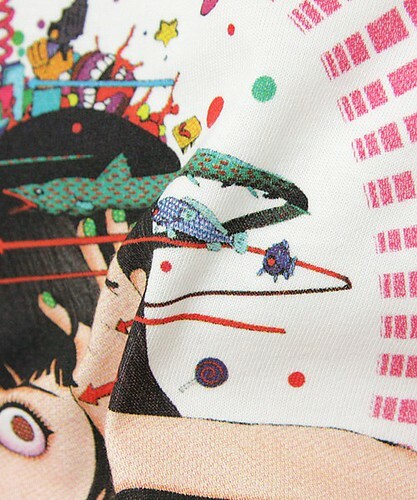 It seems that our man Shintaro Kago has joined the ranks of other creators (most notably, Uncle Umezz) by being honored with designer T-Shirts by BEAMS. The first Kago shirt (made in collaboration with the design studio whiteFUCTORY, which appears to also be doing a shirt with VICE. The shirt is about ¥5,600 and only available at their shop and online for folks living in Japan. You can check it out on their site. Looking forward to more designs in the future? How can us outside Japan buy one of these fabulous t-shirts? with a simple product you can copy a drawing and print it on yr t shirt. costs; 5 $ copyright, who cares. I don't think i'd shell out for a simple shirt like this re-using a previous image-- unlike the very design-y UMEZZ beam shirts, which i would slap 1000 babies in the face for! damn, i would pay 50$ no prob to be the coolest guy on the block. love it and wish i had it! such a cool shirt! @timeless: yep, luiz told us! 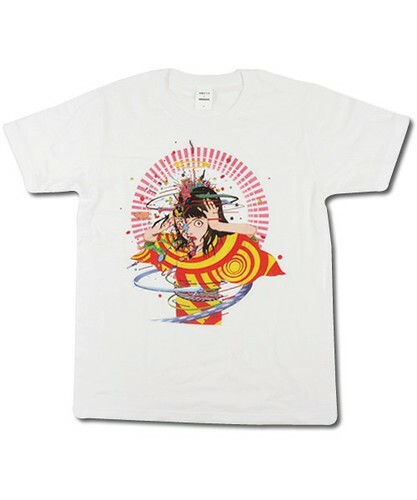 hope they do another round of more interesting Kago shirts?